From questions about the relevance of place, to our complicated engagement with social media and its culture of vicarious lifestyle, to concerns about cultural appropriation, preservation, and cultural tourism, these two pieces are small explorations into major overlapping themes and questions that have been relevant to the trajectory of contemporary architecture for some time and are increasingly relevant to design at the scale of the object. Each piece seeks to engage in dialog with a specific place in Manhattan. Both are unsung, culturally significant interiors where the boundaries between art and architecture have been blurred. Wanna go there! (Partition) looks to a former hayloft in the New York Studio School that was once the personal studio of Gertrude Vanderbilt Whitney and the original site of the Whitney museum. Particular attention is paid to the allegorical plaster sculpture by Winthrop Chanler that engulfs the fireplace. Where is this? 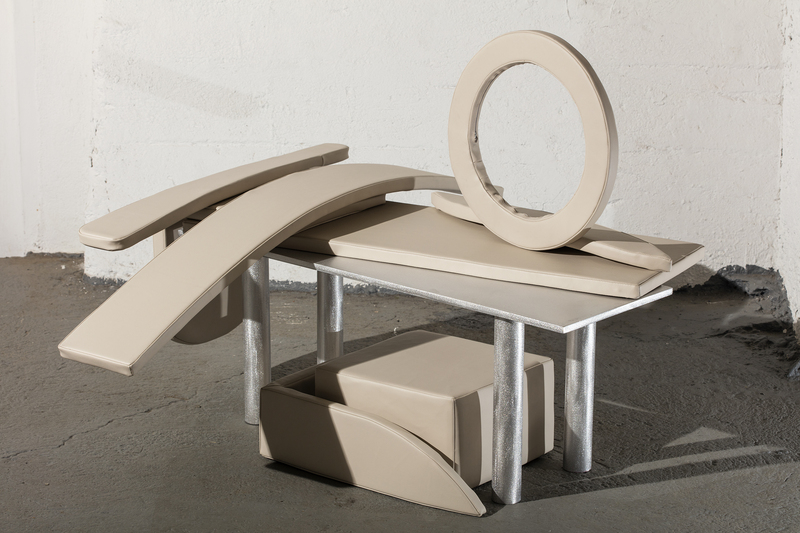 (Bench) is inspired by the warm-white fragments of the Louise Nevelson-desiged Chapel of the Good Shepard located inside of Saint Peter’s Church, under the Citicorp tower.